The panels are in an area off the property's outer loop trail where 11 blight-resistant American chestnut trees were planeted over the last two years. 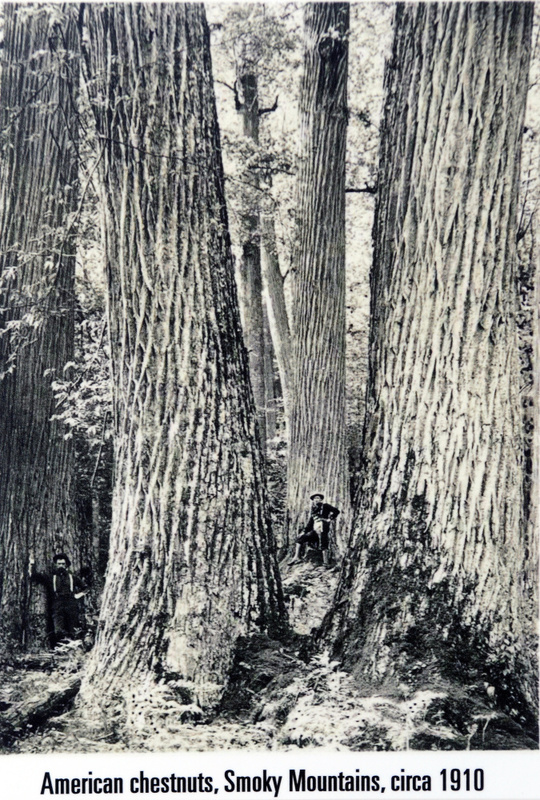 AUGUSTA — The Viles Arboretum has been working since the 1980s to bring back the American chestnut tree, which was thought to be lost after a blight from Asia in the early 1900s. 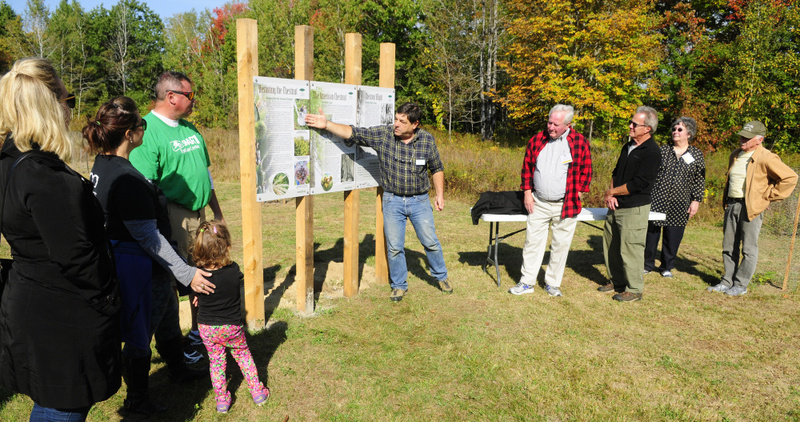 Arboretum officials unveiled a set of three interpretive panels Saturday morning surrounded by 11 young trees resistant to the blight that will continue the progress that’s been made in the last three decades. The new trees and panels, which cost about $500 to install, are located off the popular outer loop trail off Piggery Road. DesMeules said he hopes people using the trail stop and learn about the history of the American chestnut and why its revival is important. 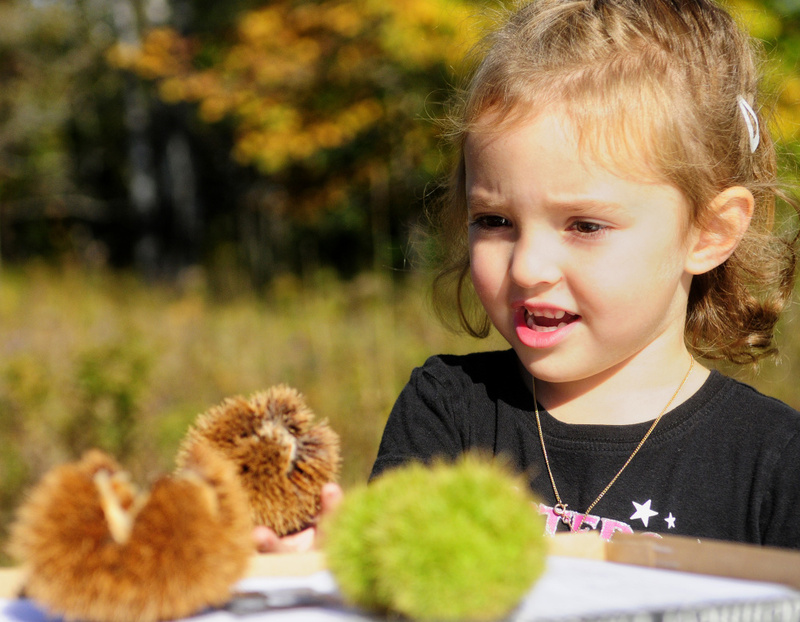 Glen Rea, of the Maine chapter of the American Chestnut Foundation, said their program is working because the tree is starting to come back. The chestnut blight — first identified in The Bronx, New York, in 1904, is an Asiatic fungus that decimated more than 200 million acres by the 1950s. 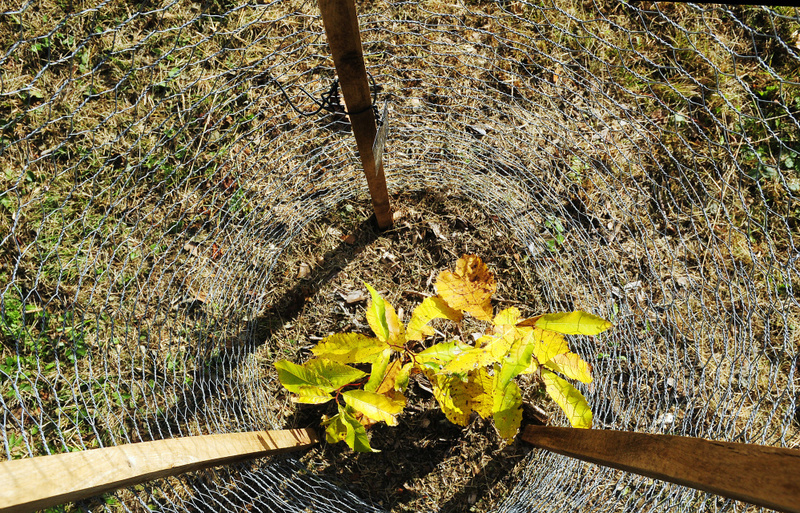 The chestnut foundation announced the first forest planting of blight-resistant chestnuts in 2009. Paul Wheeler, the chief financial officer of Smart Eye Care Center, which is a sponsor of the chestnut tree panels at the arboretum, said it’s good for the community and DesMeules and his staff is a great organization to work with. Chestnut is used to make furniture and sometimes railroad ties, said Peter Bowman, a member of the American Chestnut Foundation. 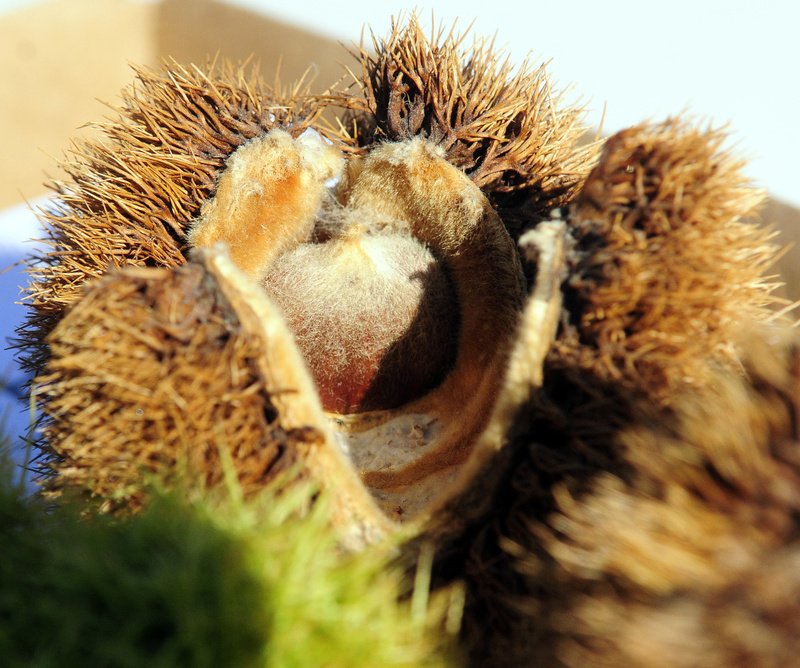 DesMeules said the trees were planted far away from the regular chestnut trees within the 224-acre property to protect against cross-pollination. 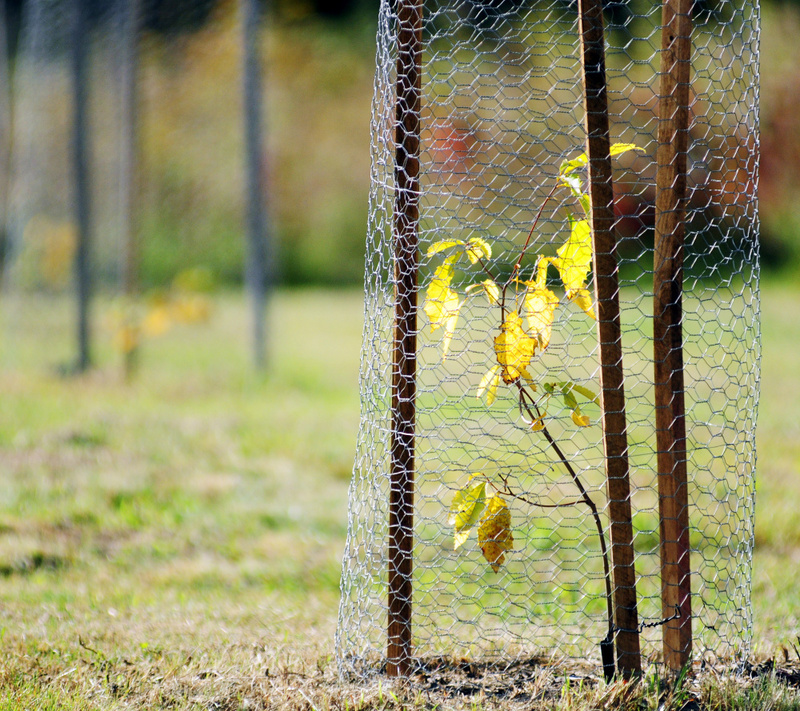 The 11 trees have chain-link cages around them to protect against the deer. “We were able to take the sunshades off, so the trees will really start taking off now,” DesMeules said. The blight, he said, knocked out about 99 percent of the chestnut trees in Maine and across the eastern seaboard. There were some trees that survived, and the arboretum has the largest collection of survivors from Maine, he said. 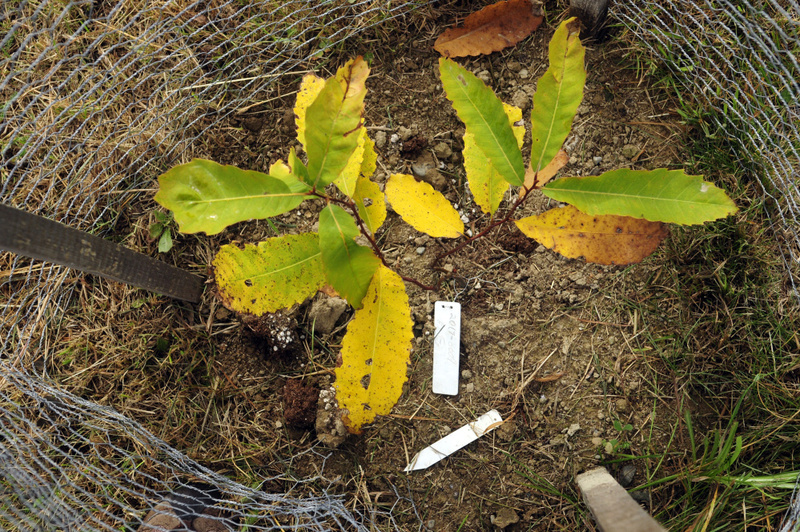 The new trees were bred by the American Chestnut Foundation to be resistant to the blight.